A simple reformat is all that stands between you and your need for speed. 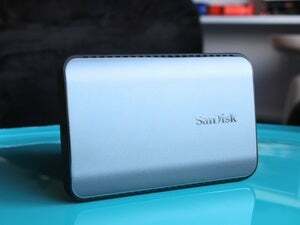 Sandisk Extreme 900 SSD review: 10Gbps USB 3.1 performance at last! 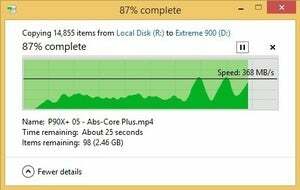 Why is your USB drive so slow? If your drive is formatted in FAT32 or exFAT (the latter of which can handle larger capacity drives), you have your answer. USB drive vendors tend to format their drives at the factory with FAT32/exFAT because every device that can read USB mass storage can read and write to these well-known formats. That includes, but is not limited to: Windows PCs, cell phones, car radios, Linux, and OS X/iOS devices. If you want maximum read/write compatibility, format with exFAT. If you want to write small files quickly, format with NTFS. But Windows largely relies on the NTFS file system these days you say. Yes, yes it does. And at least part of the reason NTFS was developed is that the FAT family are very slow when writing large numbers of smaller files. Why not use NTFS? Glad you asked. Microsoft wasn’t feeling particularly generous when it came up with its second-generation file system, so the company didn’t tell anyone else how to implement it. It’s almost like they were in some sort of competition with other companies. Regardless of the why, denying access to that code was like waving a red flag in the face of open-source programmers worldwide. Reading from NTFS within other operating systems soon became possible, but reading is non-destructive, so if you mess up with the code, you still have the original file. If your code screws up writing to a drive, you may have ruined someone’s digital life. Not cool. 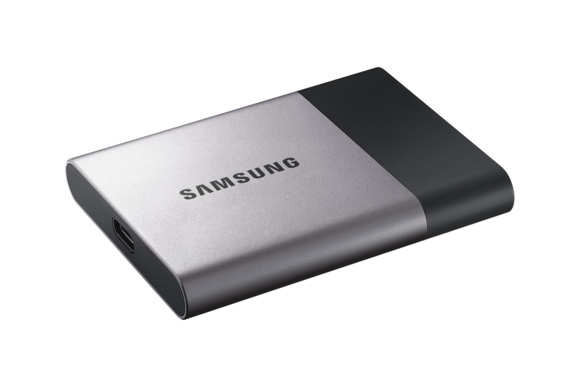 Samsung’s T1 and T3 external SSDs are very fast writers, but not nearly as fast with small files if you format them in exFAT rather than NTFS. It took longer, but eventually the Linux community felt comfortable enough with its NTFS write-code that it was added to the operating system kernel. Apple eventually added NTFS write support as well, but here’s the thing: It was hidden, disabled it by default and difficult to turn on. Difficult as in terminal, command line, SUDO... It’s not for the average user. Vendors faced a quandary: Format drives in the nearly universal FAT32/exFAT and let Windows users live with reduced performance when copying large numbers of small files; or format them in NTFS for better performance under Windows—but in effect, render them write-protected on Macs and unreadable on other devices. The solution for Windows-only users is simple. Back up the data on the drive, re-format said drive to NTFS, transfer the data back, and watch those files go. The drive will still be readable on Macs and readable/writable using Linux. Slow writing of small files to a Sandisk Extreme 900 formatted in exFAT. Much faster writing of small files and folders to an Sandisk Extreme 900 formatted to NTFS. Just in case you’re not Windows-only, there are other options. If you’re going to use your USB drive only on Macs, you can format it in HFS+. Linux reads USB drives formatted in HFS+ and believe it or not, Microsoft actually knows how to as well. Sadly for PC users, said knowledge is only employed on the Xbox to read from iPhones and iPads. Sigh. Really, the whole deal comes down to how you use your USB drive. If you’re pretty much a Windows person, then by all means use NTFS. 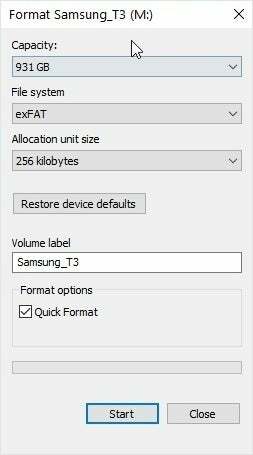 FAT32 and exFAT are just as fast as NTFS with anything other than writing large batches of small files, so if you move between device types often, you might want to leave FAT32/exFAT in place for maximum compatibility. Me? 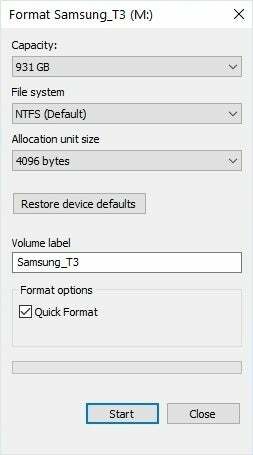 I format to NTFS. I don’t like to wait. Ever. And, there’s always the OS X command line or Ubuntu.